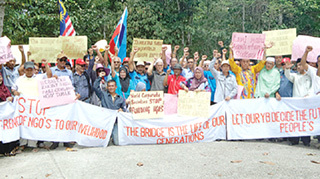 Protest over NGOs' meddling | Daily Express Online, Sabah, Malaysia. SUKAU: Many of the 10,000-odd villagers here want the State Government to build the second Sukau bridge under Option 1 soon as possible so as to meet their needs for development and improve their living conditions. This was the message by Village Development and Security Committee (JKKK) chairmen and headmen, native chiefs, representatives and youth leaders, among others, from 42 villages who staged a brief protest at the compound of the Sabah Wildlife Department office, here, Sunday, which also houses several of the NGO's offices in Kg Sukau, Sunday. Included were 350 local community leaders and residents from five villages under remote Mukim Litang. It took them about four hours to reach the venue of the protest that started at 11am. Option 1 involved the first phase of a RM75 million federal-funded new bridge of 240 metres from Kg Sukau across the Kinabatangan River to Jalan Moresem as well as a new road over 2.6km starting from Km41 at Jalan Sukau up to the bridge known the second bridge. 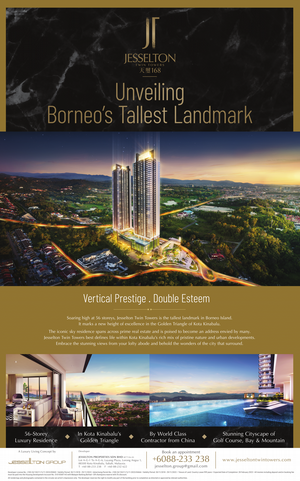 The second phase involves a RM150m viaduct with a width of 1,000 metres similar to a flyover across the elephant sanctuary area and another road to be built spanning 8.5km. They reminded the Government to build the project under its 1Malaysia: People First, Performance Now slogan – attending first to the people's needs and aspirations. They slammed several western NGOs for their views on the project, which was approved under the 11th Malaysia Plan (11MP), to be put off and causing the State Cabinet to look into another proposal to build the bridge. They claimed the NGOs were being irresponsible and making use of animals' interests and Ministry of Tourism, Culture and Environment and its relevant agencies as a platform to meet their hidden and selfish agenda to live comfortably. Kinabatangan Police Chief Supt A.Sahak bin Rahmat, few police vehicles, police officers and personnel were also present to monitor the protest. A. Sahak said the picket had no permit but they were allowed to gather for few minutes and submit a memorandum to a wildlife officer. 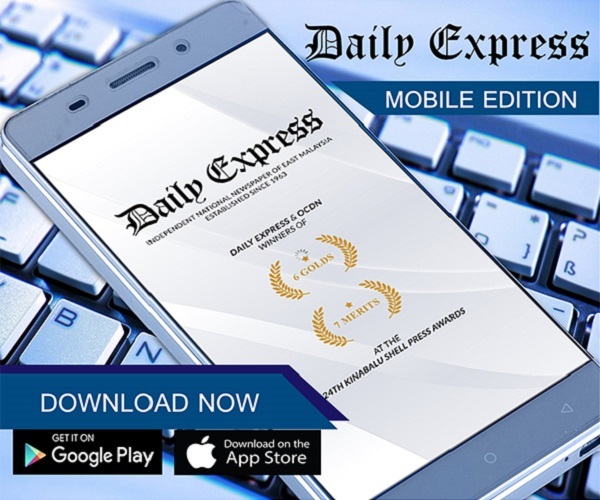 Organising Chairman of the picket, Bahri Omar, 58, said the aim was to show their objections to the NGOs for going against the project, thus causing the needed development to be postponed. "We see that these NGOs seem to be more powerful than the government chosen by the people including the departments responsible for looking after conservation of the wildlife and environment here. "We as the natives here have the sole right to determine the course of our lives and to enjoy quality life via projects that will improve our wellbeing, and enhance our socio-economic activities," said Bahri, a Mukim Leader who looks after five villages under Mukim Suan Lamba. Among others, the memorandum claimed that officers and personnel from among the NGOs had taken over the role of monitoring and enforcement supposed to be discharged by the departments responsible for wildlife, forest and environment. It called on the authorities to withdraw power and special rights given to the NGOs such as Danang Girang Field Centre, HUTAN and KiTA Association through signing of MoUs with Masidi's (State Tourism, Culture and Environment) Ministry with immediate effect, as well as review their presence and cease their operations to prevent untoward incidents happening. Bahri said: "First, the completion of the bridge would save the lives of many villagers especially from Mukim Litang as they could get healthcare facilities in Sukau new township instead of going to district hospital in Sandakan or Lahad Datu that would take about a day to reach. This would obviously address cases of villagers who died for failing to get medical treatment on time. "Second, the bridge would enhance socio-economic activities of the people and villagers as a big Tamu ground can be set up at the new township and many people including from the West Coast could stop by and buy local products," he said. By having the bridge, Bahri said the status Sukau New Township could also be elevated to a centre of administration so that those coastal villages like in Mukim Litang can get their official errands to be carried out at the township instead of commuting to Sandakan Municipal Council which is far from here.